Pick up from your hotel at 7.30am. 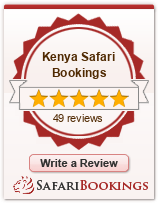 Drive into the Masai Mara with its amazing concentration of wildlife and outstanding scenery. Lunch. Afternoon game drive. Overnight at Mara Sopa Lodge, L,D. Drive through the Rift Valley to Lake Nakuru, a shallow alkaline lake in the Rift Valley, renowned for its spectacular flamingo population as one of the world's greatest ornithological spectacles. Although Lake Nakuru is primarily a bird sanctuary, animals such as zebras, gazelles, Rothschild giraffe, impala, rhino (sanctuary) among other large mammals. Dinner and overnight at Lake Nakuru Lodge, B,L,D.